The Company namely "THE GOPALPUR TEA CO. LTD." was founded by Late Gopal Chandra Ghosh in the year 1913. The name of Company and its garden Gopalpur Tea Estate are based on its founder. After Late Gopal Chandra Ghosh, his son Late Birendra Chandra Ghosh, a Landlord of Dist. Jalpaiguri (WB), took the charge and well developed his family business. 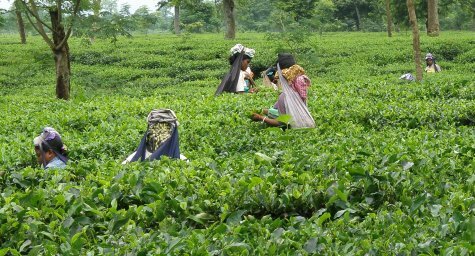 In the tenure of Late Birendra Chandra Ghosh, there were about 8 Tea Gardens in that group. In the year 1986, management of said three gardens changed and M/s S. P. Agarwalla group took over the charge. There were 3 tea gardens namely Gopalpur, Kadambini and Coochbehar under the name and style of "THE GOPALPUR TEA CO. LTD." till 27/04/1992. In the year 1993, again management of Gopalpur Tea Estate under "THE GOPALPUR TEA CO. LTD." changed and SOMANIS of Inland Group took over the charge. Since then the Company and Garden is under Inland Group.